Today Turkish led amphibious exercise Egemen 2015 kicked off in Aegean Sea. This is the 3 simultaneous exercise Turkish naval units are taking part. The others are Trident Junction 2015 and Nusret 2015. The exercise will end on 28 October 2015. Turkish Navy is participating with one frigate, two corvettes, four patrol boats, one submarine, one tank landing ships, 6 landing craft and numerous auxiliary vessels, two helicopters, one maritime patrol aircraft, one search and rescue aircraft and 1 amphibious marine infantry battalion. Turkish Air Force will contribute two F-16 fighter jets. US Navy amphibious ship LHD-3 USS Kearsarge and on board deployed units from 26th Marine Expeditionary Unit are going to take part in Egemen 2015 too. 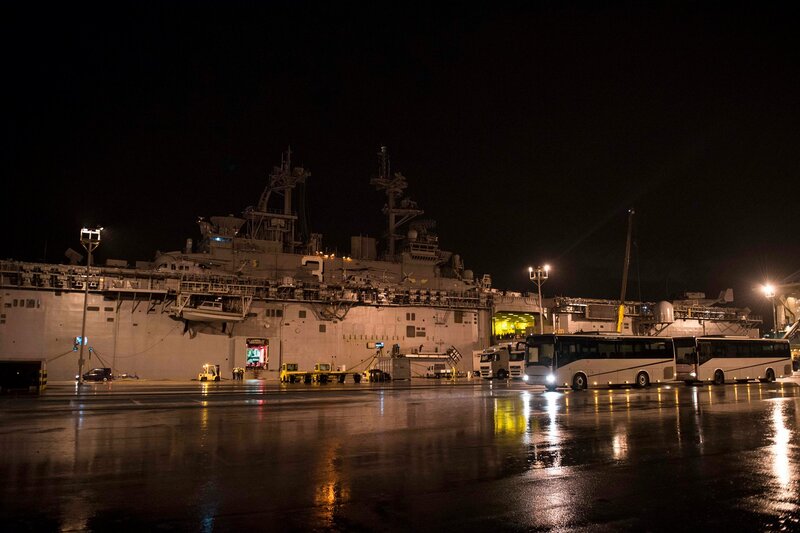 The Kearsarge Amphibious Ready Group and Marine Expeditionary Unit team, comprised of the multi-purpose amphibious assault ship USS Kearsarge, the amphibious dock landing ship USS Oak Hill, the amphibious transport dock ship USS Arlington and embarked Marines from the 26th MEU. USS Oak Hill and USS Arlington are currently taking part NATO’s Trident Juncture 2015 Exercise off Spanish coast. It was these such amphibious exercises which my old ship operated with your Navy. We also had your soldiers embarked on board from time to time, for cross training with US Marines. This was back in the late 1980’s while the Cold War was still going. So, these were usually quite large NATO exercises back in those days. Many, many ships.